« Gannett’s latest paywall announcements: Would you pay for obfuscation? I know you’re planning to watch tonight’s basketball game. I am, too. 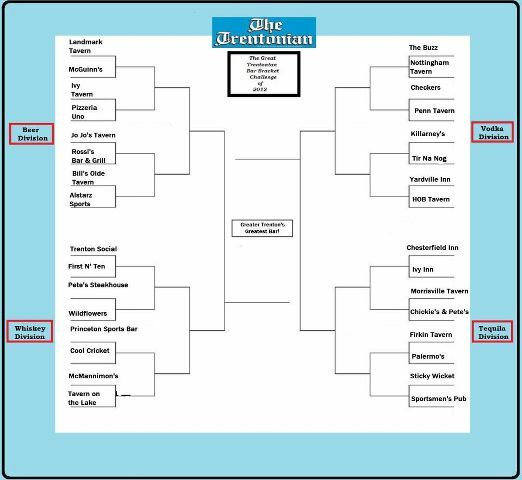 But I already know the big winners of the March bracket: The Trentonian and First N’ Ten. Our editor, Mike Topel, had the idea to have a “best bar” tourney to coincide with March Madness. He enlisted Joe D’Aquila to figure it out. Joe and I then posted on our FB’s and Twitter, and on the Trentonian’s, looking for nominations. Relatively unscientific, but it worked. Got 32 entries. Picked ’em out of a hat. Joe set up Facebook polls on the Trentonian page for the first round. Honestly, I was expecting blah results. Each round had each matchup getting hundreds of votes. A few of the bars in the Final 4 got together to donate some money to charity. That got convoluted, but D’Aquila stepped into it, went to the Trentonian FB page, told everyone they had an hour to nominate a charity. Thirty got nominated. He set up another trio of polls, giving everyone an hour to vote. And the winner was Capital K-9 Association, run by a Trenton police officer, that raises money to buy bullet-proof vests for police dogs. The two finalists each donated $500. Also, both bar owners said they were exhausted from the contest, and that it was THE topic of conversation for the two weeks it was going on among patrons. I presume the same can be said for other bars that made it past the first cut. The final matchup was First N’ Ten vs. Sportsman’s Pub. We closed it out Friday with a live Trentonian TV bit produced by Joey Kulkin, giving away prizes, interviewing bartenders, what have you. In the few weeks since this began, I think we gained something like 500 new followers to the FB page and our FB “reach” — whatever that means — has skyrocketed, from 4,000 to 50,000 during the contest. I think the plan is to do “best diner” next, bringing the ad dept. into the mix and figuring out a way to get the polls on the Trentonian website instead of FB. Pizza — a dangerous topic around these parts — is also on the docket. A lot of great background work on this project from D’Aquila. He really ran with it. 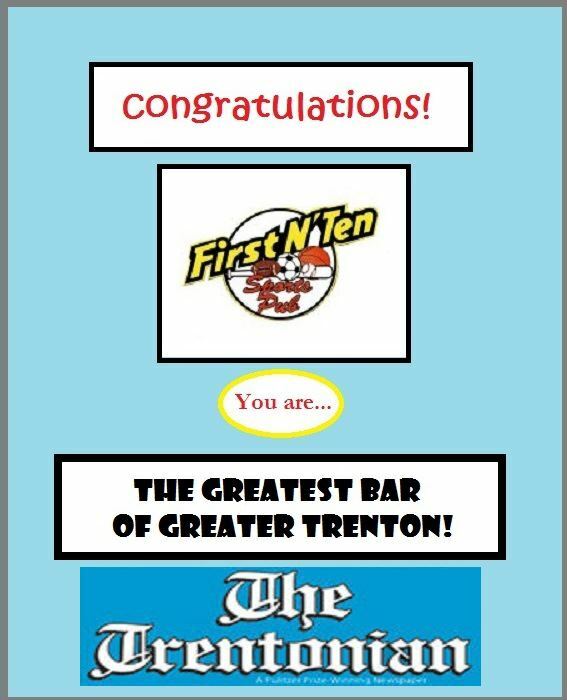 In the voting, First N Ten defeated Sportsmen’s Pub, 1,410 to 1,330.
the end of link contains a “tre” that breaks it.